This article was originally published on OfferZen. Anne Gonschorek was a huge help in making this article come together. She’s looking for more contributers to the OfferZen blog. Take a look at Source for more info. We live in a digital world where service downtime is not tolerated by customers, but at the same time, not everyone has the luxury of cold standby environments or Kubernetes clusters to enable this. I recently had the task of finding a way to make zero downtime deployments work using good old Microsoft IIS, as well as automating the deployments behind a single click. I’m sure there are others out there with similar constraints. If you’re one of them, then this is for you. Until recently, our team has been doing deployments out of the regular business hours (i.e just before 9am or after 5pm). This has worked really well for us, but the honeymoon is coming to an end. We’re now building systems that need to be up all the time as we never know when a customer may need to access them. The traditional deployment time in other parts of the company is Sunday morning at 5am, but ain't nobody got time for that. We may not host in the cloud because we work at a big financial institution with strict data requirements. We may soon be able to use Docker for our deployments, but only Linux based and our stack is .net running in IIS. We’re moving slowly to .net core, but aren’t quite there yet. Even if we used containers, we don’t yet have any high availability tools in place to do hot deployments. We do run multiple instances of our production systems behind a load balancer, but unfortunately we don’t have any control over the load balancer as it is managed by the company’s IT infrastructure team. My research led me to a concept called Blue/Green deployments as well as an article on how to implement them with IIS on a single server. 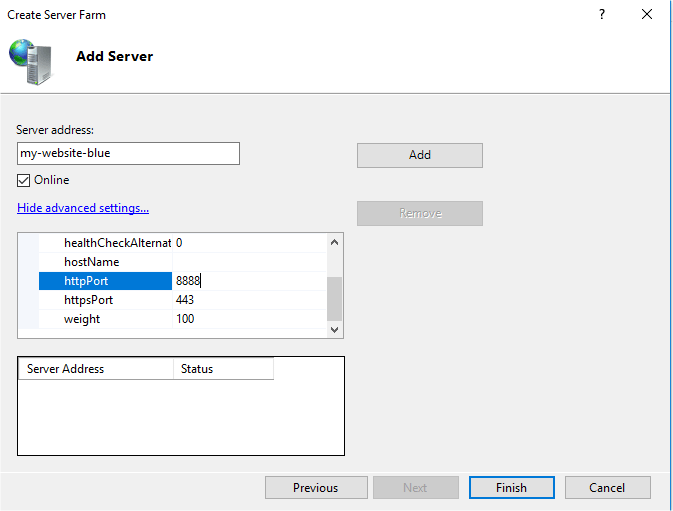 ARR enables IIS to work as a reverse proxy in front of a farm of IIS instances. In normal cases the other instances would be on other servers like a true server farm. This is a valid option for blue/green deployments but in our case, we wanted to keep it in our existing infrastructure, so the instances will all be on the same machine. The server farm is not exposed on a port to the outside world by IIS. We need to use the Url Rewrite module to route traffic to the Server Farm instead of directly to the regular web applications. This is what gives us the power to take an instance offline without affecting users. Once both modules are installed, we restart the IIS management console. You’ll notice that the ARR module is not yet routing to these servers if you hit IIS on port 80. To enable this, we’ll need to add a URL Rewrite Rule. Any traffic directed at http://my-website on port 80 will now be routed to the server farm called “my-website”. ARR will then take over and route to our instances. If you now navigate to http://my-website you should see your site. If you were to differentiate the two deployments, you’d notice that ARR round-robins between the two sites. This behaviour is nice for load balancing, but not for our use case, because we want to have one instance offline so we can deploy to it without affecting users. 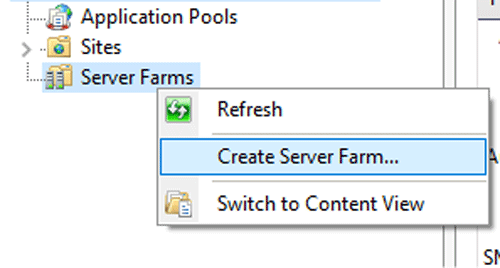 Right click on an instance (doesn’t really matter which one) and select “Take Server Offline. More importantly, IIS would still occasionally route traffic to the unhealthy node. This would mean the client getting the old version of the app, or if the app pool is turned off to save resources the customer would get an error page. I take the staging server offline completely, it is still accessible internally, but ARR stops routing traffic to it With that all set up, it's time to automate the deployment. We’ve been on a drive to make sure all of our deployments are automated and triggered with a single click. This ensures deployments are reproducible, predictable and can be performed by someone without a detailed knowledge of the system. We’ve achieved that using our on-premise instance of Microsoft’s Team Foundation Server (also known as Visual Studio Team Services). TFS basically runs on PowerShell scripts, so I’ll focus on the scripts I wrote instead of getting too much into TFS. Hopefully, you will be able to use the scripts on other build servers as well. I’ve picked out parts of the script to highlight how they work. There are a few functions that I ended up using all over the place. These have been pulled out into their own modules. There are also a couple of functions used to assist in running the scripts remotely on the target machine. I won’t cover those here but they are in the repo. We need to make use of the PowerShell cmdlets that allow us to query and control IIS. Using the above two functions, we can then query and control IIS to coordinate the deployment. Have a look at the full module for the rest of the code. If blue is not online, it means that green must be the live instance, so we have a similar block getting the state of the green instance. The preparation script helped us discover where we need to deploy our new code. We do this using the normal deployment steps of our deployment tool into $result.StagingDeployPath. Now that staging contains the latest version, we can do the actual work of the zero-downtime deployment. First we need to warm the staging instance up. The application pool has likely been recycled and we don’t want users to experience the delay of starting up. Warming it up will also help us check if there are any configuration errors preventing the instance from starting. This has saved us before when we forgot to make some changes to the server. Write-Host "$($res.StatusCode) from $stagingSite in $($ms)ms"
Now that it’s warmed up, we can bring the staging instance into the server farm to start processing requests. This is a pretty simple command that just tells IIS to bring it online. Next, we drain the connections to the old live instance and then take it offline by setting its state to “Drain” and then monitoring it’s counters until it is no longer serving requests. # Keep checking until the live instance is no longer processing requests. Write-Host "Checking requests per second"
Write-Host "Still $currentConnections requests per second"
Write-Host "0 requests per second"
Now we just double check that everything is ok by querying the IIS status in a similar way to the beginning. We also do some additional checks to make sure each instance is in the state we expect (i.e. Live is online and Staging is not). Deploying in this way does mean that we needed to make some slight changes to the way that we build our applications. There may be cases where an older frontend tries to access a newer API. Or a newer API accessing a newer version of the database. We never rename or delete a database column until all consumers are updated. We then remove the old columns in subsequent releases. We never remove or break an existing API endpoint, we rather add new ones and deprecate the old ones until they can be safely removed. We’d like to find some way to pause the deployment while the staging instance has been updated but not yet live. We could then access it internally and verify that everything is ok before doing the final switch. I’d like to share this with other people using TFS by publishing the scripts as a TFS extension. I’d love to hear your feedback and suggestions, would this be useful to you or your company? How would you improve it? 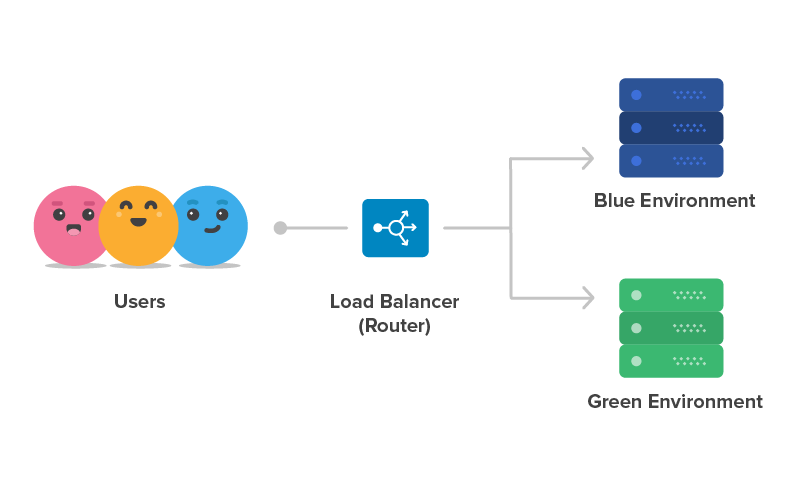 Blue Green Deployments: Martin Fowler is a giant in the industry, if he recommends a technique, it’s definitely worth looking into it. When running Powershell scripts on TFS/VSTS, specifically formatted log output can be used to communicate with the build agent.